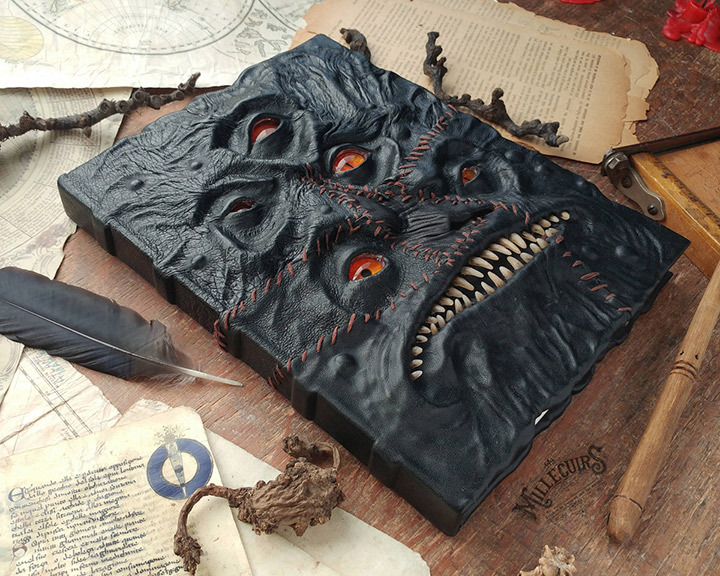 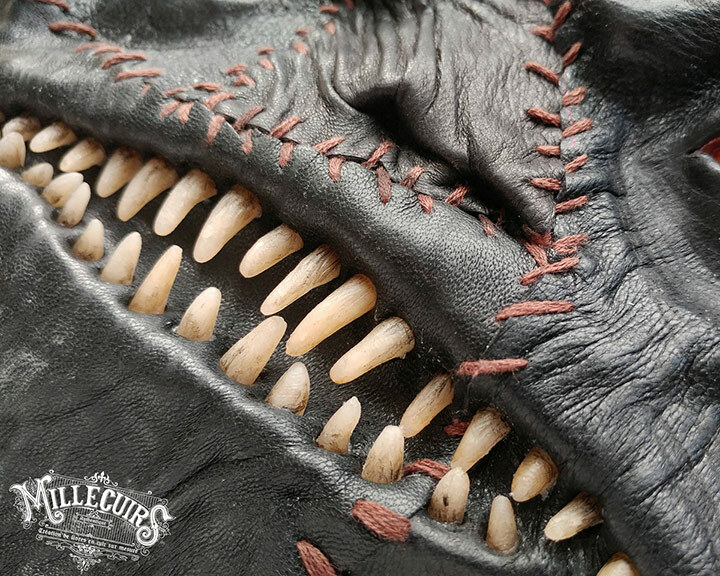 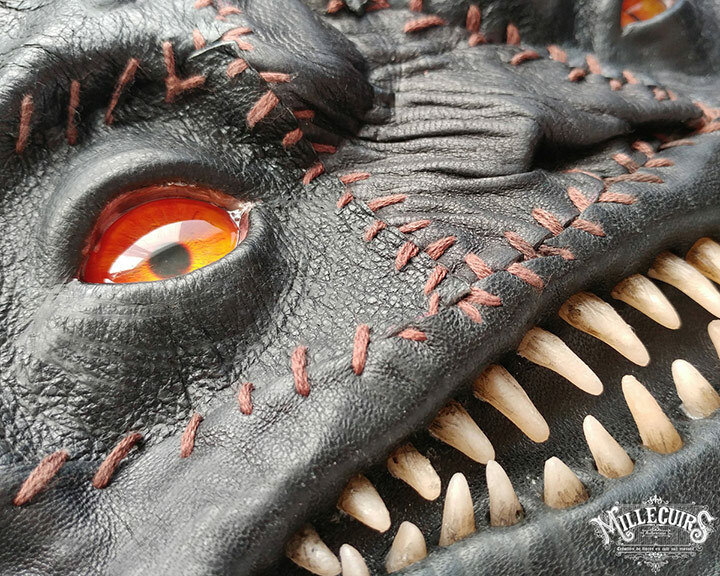 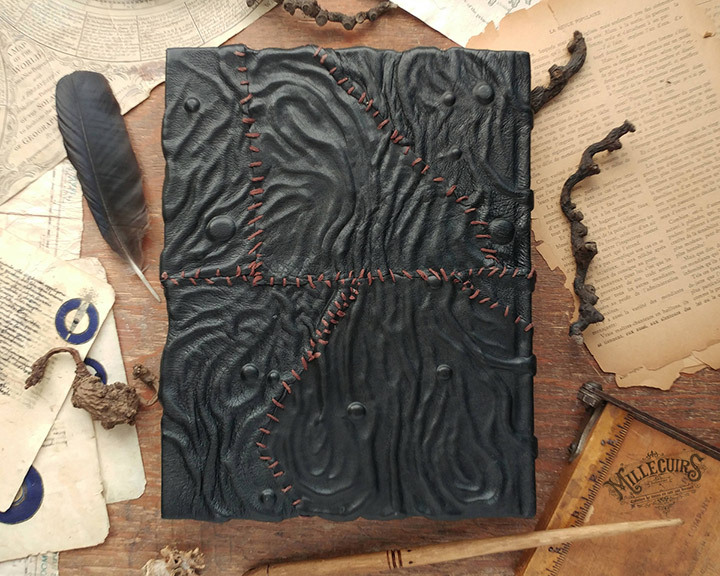 Described as Necronomicon grand grimoire, The Monster Book from Mille Cuirs is an eye-catching design. 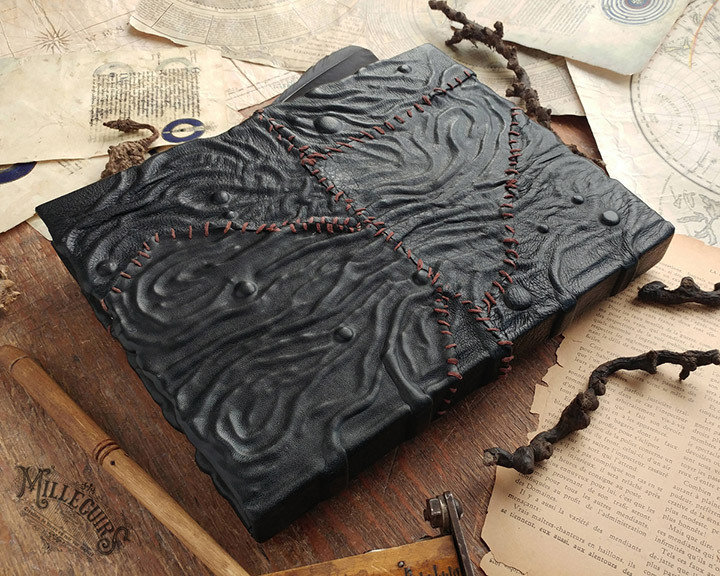 It is a leather grimoire blank book. 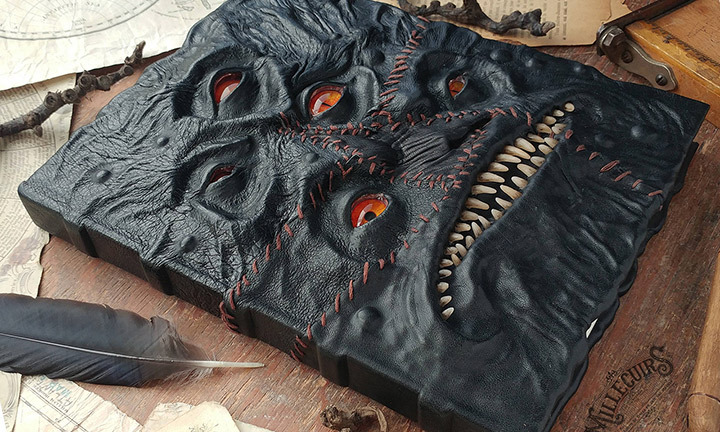 With devilish details and immeasurably striking aesthetic. 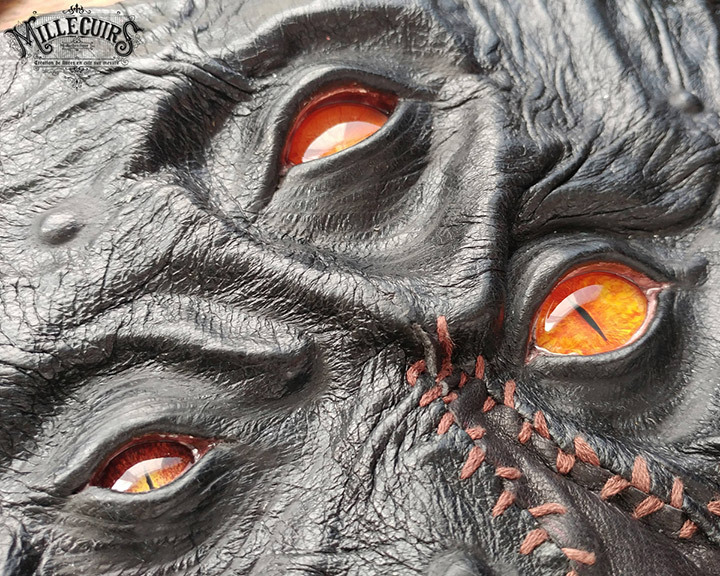 Featuring five orange glass eyes on the cover which will stare right into your soul, and a great number of sharp teeth. 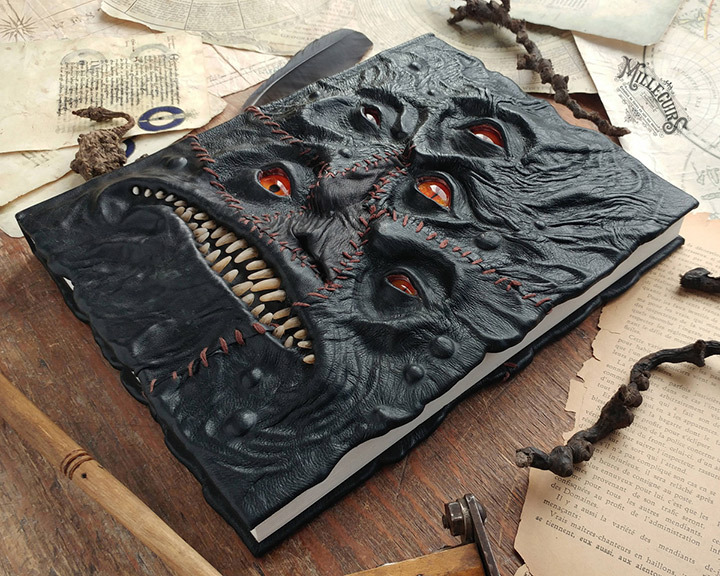 This book will grasp anyone’s attention anywhere. 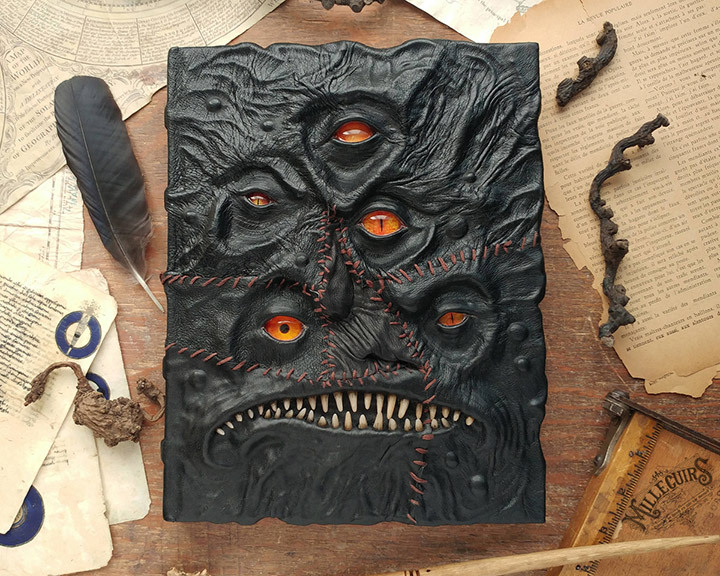 Mille Cuirs has also created 10 other books that are equally unique. 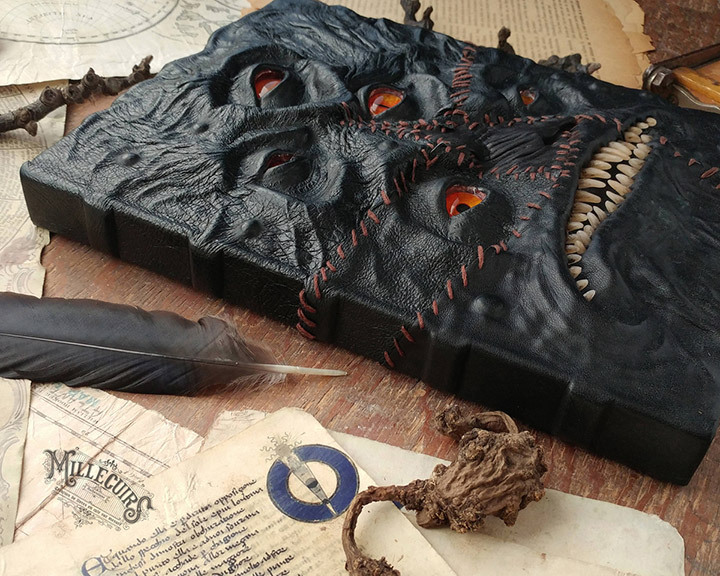 So, you’ll need to move quickly if you want to get these darkly humorous offerings in your hands asap.